Saturn's moon Tethys disappears behind Titan as observed by Cassini on Nov. 26, 2009. 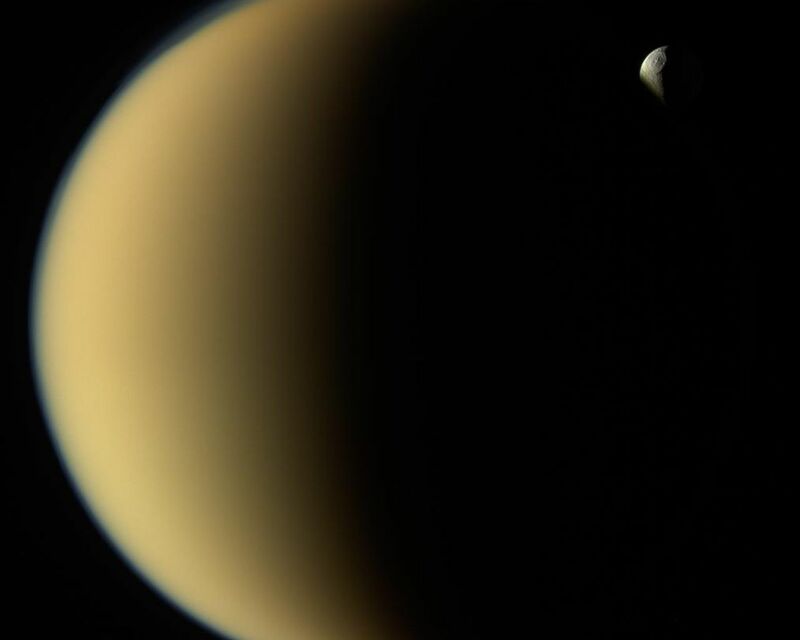 Tethys is about 660 miles (1,070 kilometers) across. 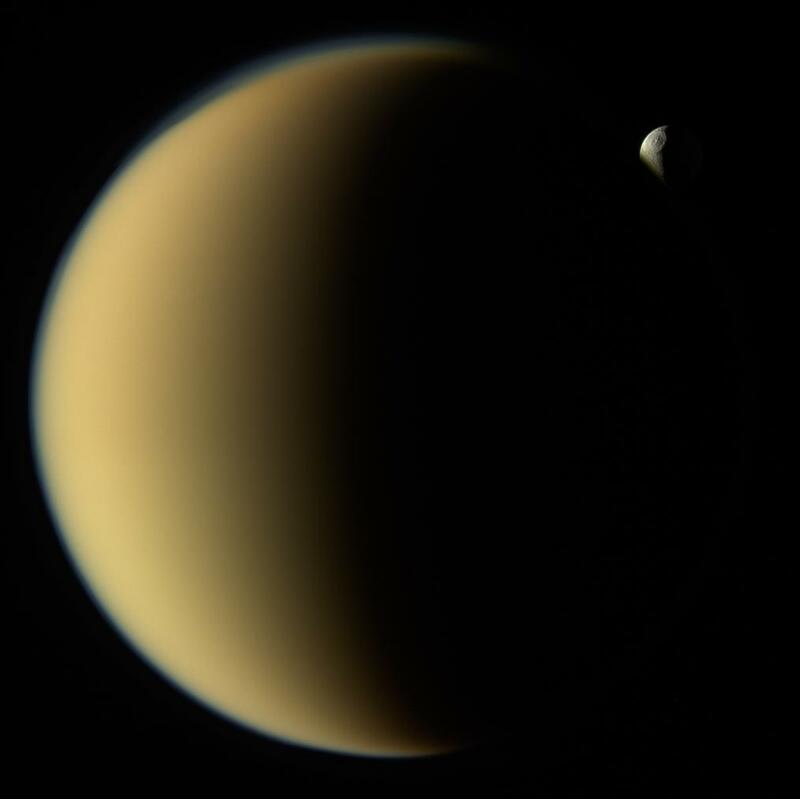 At about 3,200 miles (5,100 kilometers) wide, Titan is larger than the planet Mercury, and was much closer to Cassini than Tethys at the time of this image. 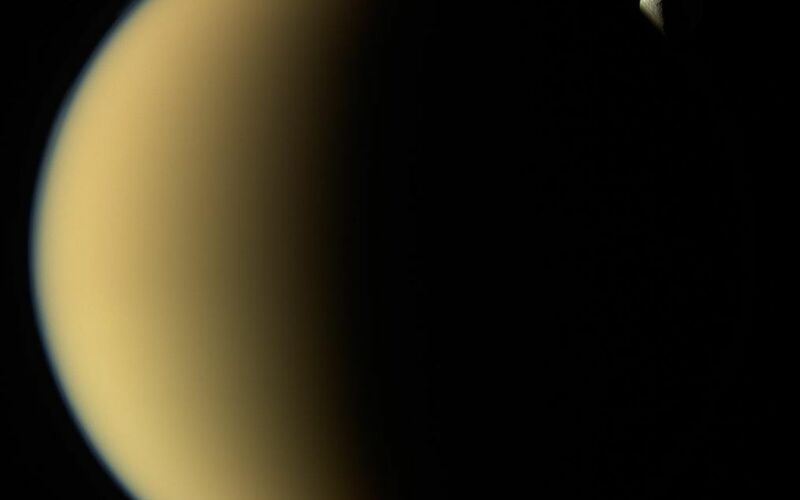 Titan is planet-like in another way: it's wrapped in a thick atmosphere, which can be clearly seen here where it overlaps icy Tethys in the distance beyond.